Since 1971 the Broyhill Crest Barracudas have competed as members of the Northern Virginia Swim League (NVSL). The Barracudas average about 60 competitive members and 10-15 Bubbles developmental swimmers. In 2017, the Barracudas won their first Division Title in 23 years and were promoted up to division 16. This year, we will compete against Village West, Parliament, Commonwealth, Long Branch, and Pleasant Valley swim teams. 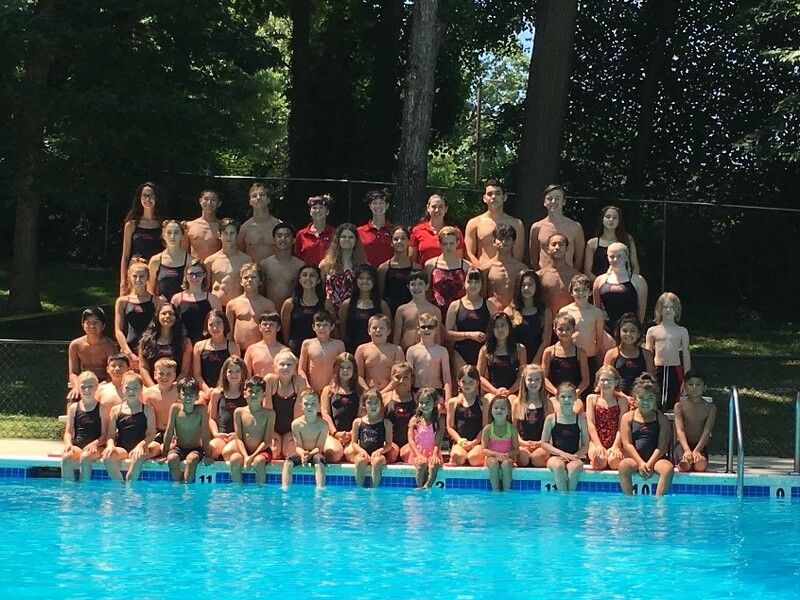 The NVSL season is an intense nine-week season, with daily weekday practices (Monday-Friday), five dual meets on Saturday mornings, one or two “B” (practice) meets on Monday evenings, and three special events (Relay Carnival, Individual Medley Carnival and Divisionals). Refer to the calendar for a list of practices, meets and social events. Summer swim provides good exercise and friendly competition, and it is part of the glue that makes us a cohesive community of neighbors. Swimming is both a team and individual sport: everyone can succeed by working hard and improving their own best time. Experienced swimmers have a chance to mentor younger swimmers. Neighbors, family and friends cheer for each other and the excitement on Saturday morning meets is contagious. Where else can a beginning 7-year old swimmer earn the same amount of points for his/her team as an experienced 18-year old All Star? to become the best swimmers that we can be. to demonstrate good sportsmanship and team spirit. Join BCRC Swim Team Online Today! Join BCRC Barracudas or Bubbles Swim Team Today!